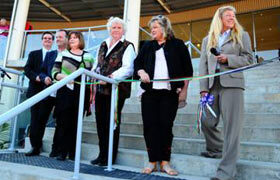 Four years after the land was cleared and dedicated the Dunn Lewis Centre Ulladulla opened 11th September 2010. Over the past five years more than two hundred of our youth have successfully participated in these programs and have moved on to re-engage in formal education, training and employment. More than another three hundred young people have participated in recreational, educational, community and social activities all of which enhance their lifestyle choices and increase their long-term mental health and opportunities for the future. The participation of families, social, educational and commercial groups brings the aspects of community involvement that underpin the commitment to the prevention and reduction of harmful activities and behaviours. Alley Gallery is located within the Dunn Lewis Centre in Ulladulla and is a joint initiative of the Dunn & Lewis Youth Development Foundation and the local community to support and showcase arts and culture through participation, involvement, encouragement and enjoyment. Alley Gallery was officially opened by Richard Morecroft and Gayle Dunn on 1 April 2011 with the launch of the inaugural exhibition Black & White. All proceeds and funding received by the gallery are used to sustain arts programs and workshops for the youth; an investment to develop skills and to further the appreciation of arts and culture. Local artists have found a space for their works to be displayed where the local community and visitors enjoy their efforts. Researcher and social justice advocate Cecilia Lashlie addressed conferences attended by community members, youth agencies and youth workers. He’ll be OK: Growing Gorgeous Boys into Good Men published 2005, a book based on the Good Man Project she undertook in 25 boys’ schools in New Zealand. Mental Health Conferences with international guest speakers, support workers, agencies and participants combining and contributing in an informal and productive way. Assisting young adults to gain life skills through opportunities and learning activities in a comfortable, challenging and non-confronting environment with qualified and dedicated trainers. Weekly Kindermusik classes allow many opportunities to learn how age appropriate activities can benefit children’s development. Belly Dancing, Line Dancing, Gentle Exercise and Yoga. Holiday Arts and Crafts are popular pastimes for locals and visitors alike. Trainers and mentors contribute experience and expertise to an ideally diverse workplace. Distinction and excellence in developing a work ethic that will sustain the graduates and trainees in their working lives; experience and knowledge gladly passed down through dedicated mentors and trainers. 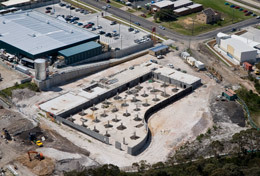 The project saw the construction of these buildings in Ulladulla and relocated for use as crisis housing at Broken Hill. The enthusiasm and vision of a few dedicated people brought about the construction of the relocatable houses project. Local builders and tradesmen collaborated with the Dunn & Lewis Foundation and Ulladulla High School to provide an on-site workplace experience for sixteen students from the school. 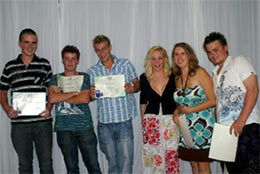 More than 100 boardriders compete every year for the fun and the fame! 2012 will see the 10th year of running the competition. Over 100 boardriders compete every month in friendly, fierce and fun competition. Partnerships with Businesses, RTO’s and Agencies bring training, skilling and opportunity to the youth of our area.